Disney Soccer Showcase Qualifier (U11 – U14, U15 – U19) may be your ticket to the Proving Ground. The champions will earn automatic selection into Disney Boys Soccer Showcase in December and Disney Girls Soccer Showcase in January 2020. The Open Division is not associated with the automatic qualification into the respective showcases (Junior, Boys or Girls). The Open Division will be seeded according to competitive level and all teams are welcome to compete. Teams competing in the Open Division will receive balanced competition, guaranteed 3 games and the opportunity to advance into semi-finals/finals. Registration is now open for Disney Soccer Showcase Qualifier at ESPN Wide World of Sports Complex at Walt Disney World® Resort. Important: When applying please make sure to use your most up-to-date GotSoccer team account. GotSoccer will be the primary source for reviewing a team's tournament and league history. Teams who apply with little or no history will be declined immediately, but are eligible to re-apply using their primary GotSoccer account. All teams must submit an online application. Upon acceptance into the tournament, your team entry fee must be paid in full immediately to guarantee your spot. Entry fees are non-refundable. In the event your team must withdraw from the tournament, you must notify the tournament director in writing at least 30 days prior to the tournament date and you will be allowed to transfer your entry fee to a future event. 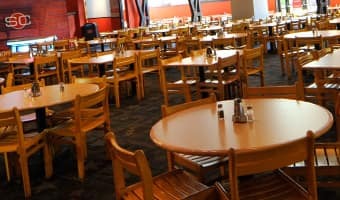 Events may be subject to availability, capacity limits, eligibility requirements, and may be subject to delay, change, or cancellation for inclement weather. Application deadline subject to change due to volume of applications and event capacity. In the event that an Age Division Bracket does not attain an adequate number of registered teams, the Tournament Director shall notify those registered teams as soon as possible. The teams will be given the option of playing up or receiving a full refund. All teams are required to stay in one of the official tournament hotels and use one of Disney's approved travel providers to compete at the event. Registration is open for the Disney Soccer Showcase Qualifier at ESPN Wide World of Sports Complex at Walt Disney World® Resort. All international teams must stay at the Walt Disney World® Resort and purchase a registration package for each athlete, coach and spectator on the team with a Disney Sport representative. All teams must be confirmed and fully paid no later than 45 days prior to take advantage of the Promotional discount package. Each team is limited to a maximum 18 athletes for 11v11, 14 athletes for 9v9 and 12 athletes for 7v7. Travel partners are responsible for the entire groups registration, documentation and necessary invoices for payment. The travel partner will be responsible to secure from Disney and provide teams with package components to include: theme park tickets, length of event tickets for spectators to ESPN Wide World of Sports Complex, and wristbands for transportation. Specially-priced packages for athletes, coaches and spectators include discounted Disney Resort hotel accommodations, Theme Park tickets and admission to all tournament games. Step 1: Contact the Disney Sports international group sales department, Leonardo Leite—by email at Leonardo.Leite@disney.com or by phone at (407) 938-3567. In order to register, interested teams must provide how many rooms and room nights are needed. Step 4: All payments are due 30 days prior to the group's arrival. Payments can be made via wire transfer, credit card or approved company check. Late payments are subject to additional fees. Team Registration Deadline: All international teams must be fully registered before 45 days prior to the event. Team Visa Assistance: Only teams with a signed contract with deposit are eligible to receive Visa Assistance. You must also provide a room list. The deadline for Visa Assistance is 75 days prior to arrival. Team Contract Deposit: The team has 15 days from the date of the request to return the package agreement with the deposit requirement. Rooms are not held until the room deposit is received. Team Full Payment: Full payment must be received before 30 days prior to arrival. Teams that do not finalize all payments 30 days prior to arrival will be subjected to late fees, forfeit of deposit and other penalties that could include cancellation from the tournament. Team Room List: An accurate and final rooming list is due 60 days prior to the tournament. If you are traveling internationally and would like assistance in securing travel packages, please contact one of the Official Tour Operators or Travel Agents below to learn more! What are the benefits of booking your Disney trip with one of the Official Tour & Travel Partners? Note: Based on group size, please contact Official Tour & Travel Partner for more details. Every Tour & Travel Partner is different, so please be sure to contact them directly for specific package and payment options. If you are unable to locate a travel provider, please contact the Disney Soccer Sales Office at (407) 938-3805. Every Tour & Travel Partner is different, so please be sure to contact them directly for specific payment options. Thank you for your interest in the Disney Soccer Showcase Qualifier. 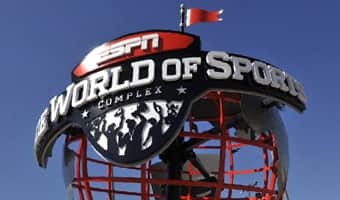 Please complete the information requested below and a member of the Disney Soccer team will contact you with the requirements for international team participation and information on ESPN Wide World of Sports approved travel providers in your region. Gracias por su interes en el Disney Soccer Showcase Qualifier. Favor de completar la informacion requerida abajo, y un miembro del Disney Soccer se communicara con usted con los requerimientos que usted necesitara para participar como grupo internacional. Tambien se le enviara informacion sobre las agencias de viajes approvadas en nuestra region y ESPN Wide World of Sports. Obrigado por seu interesse no torneio Disney Soccer Showcase Qualifier. 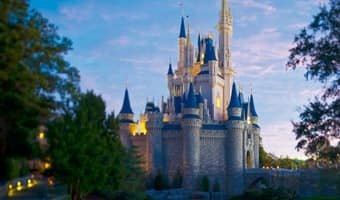 Por favor, complete o formulário abaixo e um membro do Disney Soccer team fará contato com voce para informá-lo dos requisitos de participação para equipes internacionais e agentes de viagem autorizados em seu país. Your information will be provided to coaches that are looking for guest players. Remember, in order to participate, all players and coaches are required to have a current USSF or their Affiliates Player/Coach Pass Card. IMPORTANT: Due to the different rules and regulations for guest players throughout the many USYS State Associations and other National Governing Bodies (NGB) it is the responsibility of the players and coaches involved to make sure all the required forms and documents are provided to the tournament. If in doubt contact the State Associations/NGB involved. If you are interested in adding a guest player to your team please follow the steps outlined below to access and add available guest players. Remember, in order to participate, all players and coaches are required to have a current USSF or their Affiliates Player/Coach Pass Card. Are you interested in recruiting a world-class event at the ultimate sports destination? ESPN Wide World of Sports Complex has something for you! Disney Soccer Showcase Qualifier is intensely competitive and features the best teams from around the country. Are you interested in refereeing a world-class event at the ultimate sports destination? Disney Soccer invites you to join our referee team for Disney Soccer Showcase Qualifier. Athletes and spectators attending the Disney Soccer Showcase Qualifier can now take advantage of a new online tool designed to make planning your trip to Walt Disney World® Resort a breeze. Start planning your visit to Walt Disney World® Resort for the Disney Soccer Showcase Qualifier now. This is an FYSA Sanctioned Tournament, which is open to all USSF/FIFA affiliated organizations for boys and girls in age groups U11 – U14, U15 – U19. At the end of the application period, the Disney Soccer Selection Committee will review all applications and notify your team of its status starting August 1, 2019. Players age 11 through 19 may participate. Ages are based on USYSA guidelines for 2019/2020 birth year and season. Open to state cup or higher level teams.